Good morning! Happy Wednesday to you all! Oh how I missed my blog. I pray that everyone has had a blessed week so far. This past year has been one for the books. God has stretched me in more ways than one. I wanted to take a moment to share part of my testimony. I hope that my testimony encourages someone to know that with God ALL things are possible. Here is a little of my background; I am a child of God, a wife, a mother of two; a 13-year-old girl and 2-year-old boy, I work full-time, I am a ministry leader and active at church, I am an author, and a MBA student (just to name a few hats that I wear). Needless to say my life is full of adventure. I believe this scripture with my whole heart. I seek God regarding the desires of my heart and I write the vision down. It is amazing when I can go back to my list and scratch things off because God has manifested the visions into blessings. Receiving my MBA is one of my visions. I always knew I wanted to go to Grad school and I even applied years ago in a different area. At the time I was rejected. It was in those moments that God showed me that “Delayed does not mean denied”. I started grad school in January 2011. God answered my prayers to go back to school and my husband and family have been so supportive to me during this process. I successfully completed the first year of grad school, which at times proved to be a little stressful. Last year I realized I needed God more than anything. There were times when task seemed so overwhelming, but God is Sovereign. He carried me from one task to the next without missing a beat. Proverbs 18:21 says, “Death and life are in the power of the tongue, And those who love it will eat its fruit.” This scripture in my opinion goes hand in hand with Habakkuk 2:2. After you write the vision and make it plan, use your tongue to speak life over your vision. I speak successful completion of my degree with HONORS in December 2012. This requires stepping out on faith and putting my faith into action. It’s great to pray and ask God for things, but we have a responsibility to put our faith to work. The bible says, “faith without works is dead”. I had to work hard to get to where I am going, but God’s favor added special blessings. Things that I didn’t deserve, God position me to reap a blessing from them. In December 2011, I received a phone call to join a team to compete in a MBA minority Case competition. I had never heard of this type of competition nor was I looking to get involved. But the phone call informed me that I was recommended out of the entire MBA program to participate. I accepted and praise God for the opportunity. Myself and three other individuals were given a great opportunity that only came from God. The past two months have been extremely demanding. By accepting this opportunity doors were open and others were closed both temporarily and permanently. I had to seek God regarding balancing my life, ministry, work, etc. Sometimes God will open a door for you that will require you to walk away from something else. It is important to develop an intimate relationship with Christ in order to know when He is telling you to close a door and when He is telling you to move or shift priorities. This new door required me to change somethings in my life as it relates to areas of ministry I served in. At first, I was sad and felt like God was taking things away from me, but I was reminded that “my gift will make room for itself”. Somethings we leave for a season in order for God to groom us in another area. After late nights, long hours, stretched faith, hard work, prayer and support I was blessed by the best. I was recently inducted into the Sigma Beta Delta Honor Society for MBA students and I went to Cleveland, Ohio to compete in a competition and I won “Best Presenter”. With God all things are possible. My focus was to attend grad school and graduate with honors in December 2012. I had no idea that there was an honor society attached to that prayer request. I also didn’t know that there was a national competition attached to that prayer. God answers the verbal and the silent prayers. My vision list is long and I say all this to say that each year God amazes me, by answering my prayers and exceeding my expectations. I want to encourage you to draw closer to God. Seek His face and not His hand. Develop and nurture a close personal relationship with God. You can definitely be blessed by someone else overflow, but don’t you want to bless others with your overflow? Nothing great can come to you without God. He is the giver of great things. Write down your vision, speak life into your situation and other people’s situation, put your faith to work, and watch God bless you beyond measure. I look forward to the doors that God will open in the future. Today, I praise Him for the process and the promise because had I known ahead of time what I would have to go through I would have turned it down. But I thank God for being obedient. Praise God for stretching me and in turn drawing me closer to Him. I love God more than I did yesterday and pray that each day I will grow to love Him more. I was created to worship Him and I could not do anything without Him, but with Him I can DO ALL THINGS! I pray that you have a blessed day! Thank you for listening to my story. It’s because of God that I am here today. 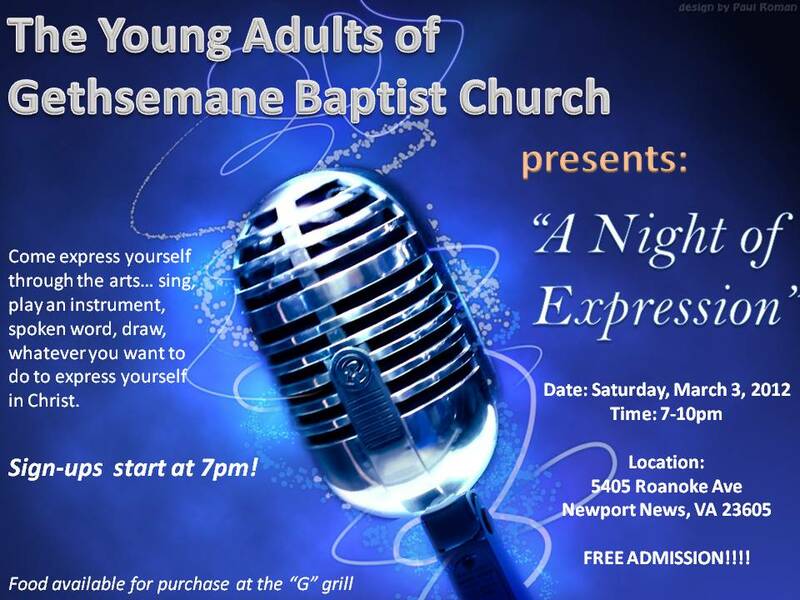 this Saturday March 3, 2012 for a Night of Expression! Come share your gifts and talents with others. You can dance, rap, sing, read poetry, do spoken word, draw, play an instrument or more. Invite a friend, neighbor, co-worker, family member, anyone! Whoever said Christians can’t have fun, haven’t hung out with the Young Adults at the T_Place @Gethsemane Baptist Church! 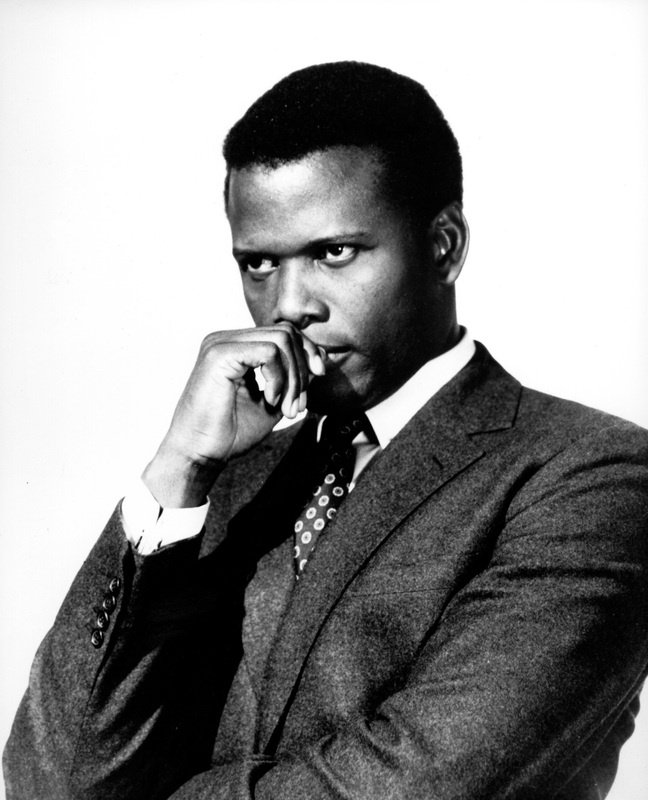 2/20/1927: On this day Sidney Poitier, who will be the first African-American to win an Academy Award in a starring role, is born in Miami, Fl. 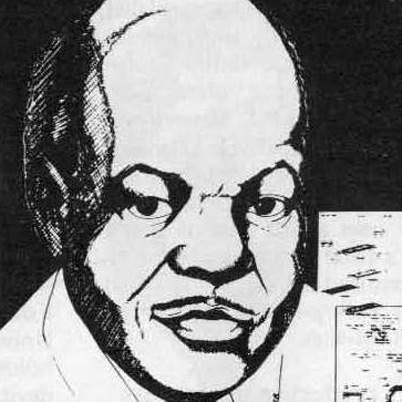 Otis Boykin invented electronic control devices for guided missiles, IBM computers, and the control unit for a pacemaker. 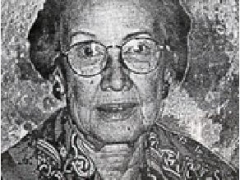 Scientists like Katherine G. Johnson has made a significant mark in NASA’s history, playing a key role in their use of digital electronic computers. It’s important to teach the youth of today how many contributions African-Americans made to life as we know it. Show them how to value where they came from so that they can strive to be better in the future. Share a Black History fact with your child today. Show them how innovative African-Americans were and still are. Encourage them when they dream big and don’t tear down their ambitions. You never know you may have the next scientist or inventor living in your home. Show them how they can build on the success of their ancestors. If they were able to succeed in tough times during segregation and racism, then our children can succeed in better conditions. Good morning! Happy Valentines Day to you all! Happy Valentines Day to everyone. To everyone looking for love, look no further. I know One who gives love that surpasses your understanding. He will love you past you loving yourself. He is indescribable. God loved you so much that He sent His only Son to die for you. Yes, Jesus Christ. He loves you. 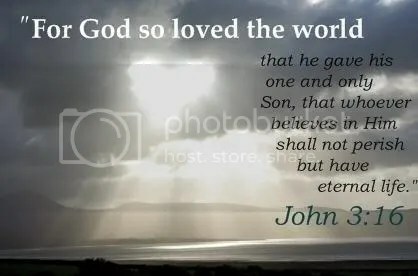 He loves you so much that He died for you so that you can have a chance at everlasting life. He died so that you could be reconnected to His Father. This is the greatest love of all. That our Father loved us beyond our sin that He sent us a Savior. He wanted us to be reconciled back to Him even though we allow our flesh to rule sometimes. His grace extends to all of us and His mercy is undeserving, but He still gives it. He doesn’t hold back. There is no greater love than the love of our Heavenly Father. So enjoy the love of God 365 days. 🙂 Accept Him today. Don’t delay. Your salvation is a confession and a belief away. Embrace the love of God and accept Him today! God bless! Have a blessed day! God loves you! The New York Stock Exchange admits its first Black member, Joseph Searles. The first Black professional basketball team “The Renaissance” organized. The first African-American performers, the World’s Fair Colored Opera Company, appear at Carnegie Hall. It’s important to know where you come from in order to appreciate where you are going. As an African-American woman, I know that a standard for excellence runs through my DNA. I can trace this through my ancestors. I then channel that into everything that I do. Anything worth doing is worth doing in excellence. Strive to be better than your ancestors. And trust me we have some awesome people who’ve accomplished major things in history. That means we have an opportunity to do major things in the future. Good afternoon! Happy Hump Day to you! It’s 2012 and as young people and adults we need to avoid the foolishness at all cost. The word of God instructs us to avoid foolish and ignorant disputes. Soley because God said it is reason enough that we should take heed. But in case you are wondering why you should avoid these disputes, it is because they generate strife. Arguing over foolish things with foolish people is draining and stressful. You are fighting a losing battle. There is no “reasoning” with someone who chooses to engage in foolish and ignorant disputes. Foolish means that you are not sensible. You lack good sense or judgment and appear ridiculous. Ignorant means that you lack knowledge or education in general or in a specific subject or that you are unaware of something. Let me help someone today: Why on earth do we (and I’m preaching to the choir) engage in disputes with people who lack good sense or judgment on topics that they also lack knowledge and understanding on? It’s like why would a doctor who studied for years and is actively practicing medicine argue with a person who barely passed high school on the subject of congestive heart failure. Yes, technology is great and the internet is wonderful and people can Google information until the cows come home but a person who lacks the knowledge in that area is not worth the oxygen it takes to argue with them. The reality is you will encounter people in your life who are foolish and ignorant and will start foolish and ignorant disputes with you. You may want to set the record straight and correct them, but it’s a losing battle. You will walk away tired and frustrated that you were trying to prove your point which you know is right. GOD SAYS DON’T DO THAT!!! SO STOP IT TODAY! It’s time to avoid the foolishness. As a servant of the Lord we must not quarrel but be gentle to all, yes you must be loving and kind to all people. We have to learn to be able to teach those who lack knowledge in those areas. Instead of arguing find a moment when you can inform them. Seek God on ways to present the facts instead of stirring up a fight. We have to learn to be patient with people because they will try you, but you have to work with them. Don’t write them off. Seek God daily on how to be patient. When you think about giving up on them ask yourself has God given up on you. Don’t lose yourself dealing with foolish people rather learn how to educate and move on. Seek God on how to be humble when you offer correction to those who are in opposition. Don’t be boastful and don’t act like a “know-it-all”. Ask God if He will perhaps grant them repentance, so that they may know the truth. It’s a sad thing to see people walking around foolishly and living in ignorance. Avoid the foolishness by not engaging in it and seek God on how to engage in a meaningful productive conversation. At the end of the day we want live a life that is pleasing to God and we can do that by AVOIDING THE FOOLISHNESS!!! February is one of my favorite months of the year. Not only because it’s my birth month (SMILE), but because it celebrates black history. I will be posting black history facts through out the month and I hope you learn something new. God bless! 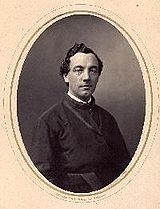 (February 27, 1830 – January 10, 1910) was the first American with African ancestry to earn a PhD, the first to become a Jesuit priest, and the first to become president of a major university in the United States. Black History is important because it’s teaches me and my children that we can change a nation through inventions, courage, determination, education, passion, focus and more. Share this important part of history with children of all ages and races. Take time to share with them the importance of embracing the great changes that now allow people of all different races, religions, and ethnic backgrounds to experience today. Many of the things we use today were invited by an African-American. Embrace this fact and strive to do more. Strive to change your today and become determined to create a better tomorrow for others. Good morning! Happy Thursday to you all! I have entered another busy season in my life. Forgive me for the sporadic blog postings. God is doing great things in and around me and I am honored to be used. Remember to keep God first. Always make time for prayer and devotion. The more time you spend with Christ the more doors He’ll open for you. Take a moment to think about all of the people whom have hurt your feelings, spitefully used you, lied on you, stole from you, and disrespected you. Now, how many of you are ready to forgive them? I’m not talking about years later, I’m talking about the moment they finish the offense you are sitting there ready to forgive them instantly? I have to be transparent, I’m not. Normally after I’ve been offended forgiving them is not the first thing on my list. Take a look at God and how awesome He is. Not only is the Lord good, but He is ready to forgive. Now I’m a visual person and when I read this scripture I imagined God sitting on the throne in all His wisdom. He knows everything you will say and do before you do it. So He knows the day, the hour, the second that you will sin. And instead of Him preparing His wrath for you He is sitting there ready to forgive you instantly and then extend mercy to you. He doesn’t even want to give you the punish you deserve, He wants to spare you and extend mercy. WOW!!! I’m astonished by God. I can truly take a lesson in this area from God. I may not know what sin people will commit against me, but in the event they do sin against me I should be ready to forgive them and then extend mercy. God is ready to forgive us when we repent to Him. Don’t walk around like you haven’t done anything wrong. Go to God and call on Him for forgiveness. God is ready to forgive you. He is not going to point out your laundry list of sin, He is sitting with His arms open waiting to receive you. Don’t become so ashamed of your sin that you avoid God. God knows every hair on your head and knows every inch of your soul. He loves you. God is ready to forgive. Food for thought: Since you call yourself a Christian and that means that Christ dwells within you. Are you ready to forgive? It’s time to spend time feeding the Christ within us so that we can react the way Christ reacts. If God is ready to forgive then we need to learn to be ready to forgive. 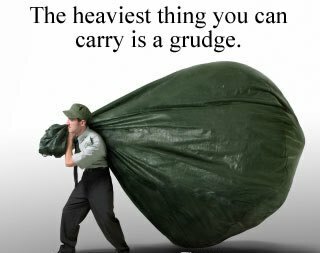 Stop holding grudges. Stop being angry. Stop holding guilt over people’s head. FORGIVE!!! And once you forgive extend mercy to those who have offended you. I mean God forgave you. What if He treated you the way you treat others who offend you? Have a blessed day. Be grateful that God is ready to forgive and seek Him on learning how to do the same!